A year ago today, I was celebrating Leicester City’s Tactical Insights day. I thought it was a delightful adventure in sharing and exploring data. Tonight, under the leadership of Sam Robertson, it is the Western Bulldogs’ opportunity to be innovative. The football club and the City of Ballarat are hosting a weekend #hackathon. There is a website to provide information. Some of the data used at the event will not be in the public domain and attendees will sign a non-disclosure agreement. The fun starts this evening at 6pm at the Ballarat Library. I am hoping it has this kind of energy found in Ballarat. The 2015 AFL Finals rounds are about to start. Logistic regression and decision tree (chi-squared automatic interaction detection) analyses both revealed relative differences between opposing teams for “kicks” and “goal conversion” as the most influential in explaining match outcome, with two models achieving 88.3% and 89.8% classification accuracies, respectively. In the 2015 season, the third placed team, Hawthorn, were the team that took most kicks and their kicks at goal were the most accurate (55.1%). Essendon were the least accurate team kicking at goal in the 2015 season (46.3%). 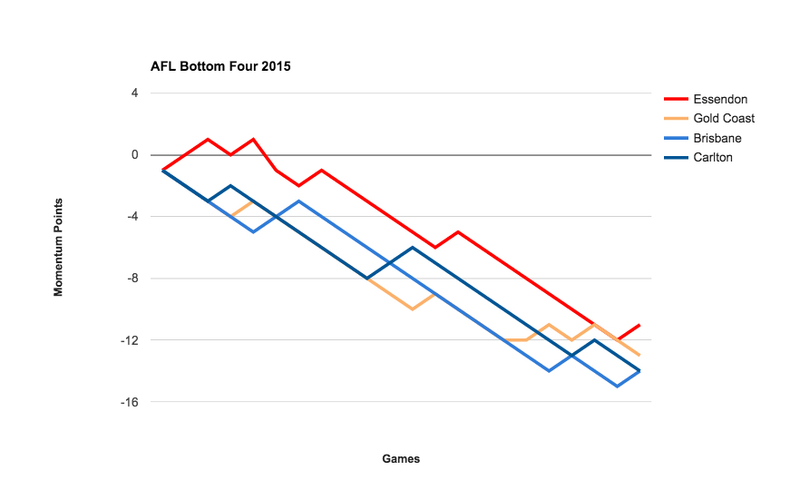 The two bottom teams Brisbane and Carlton scored the least Behinds in the season. Both teams had the highest losing average margin too (Carlton 51.7, Brisbane 48.2). Fremantle, the Minor Premiers, unlike West Coast and Hawthorn, did not have a high average winning margin. 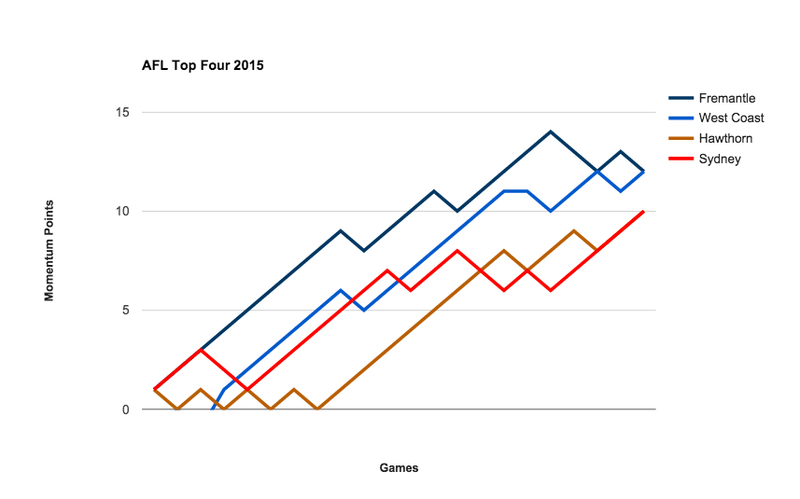 In fact, they were ranked just above Carlton and Essendon at (29.2 points per victory).